Auf den Flügeln der Phantasie – Dänische Klangbilder von 1867 bis 2017: Über 150 Jahre hat sich die Königliche Akademie der Musik in Kopenhagen als die große Institution im Musikleben Dänemarks erwiesen. Eine Abfolge großer Namen des dänischen Musikgeschehens – Schöpfer wie Interpreten – haben an der RDAM gewirkt. Eine beispiellose 12-CD-Ausgabe bei Dacapo malt ein einzigartiges Klang-Portrait der RDAM und wichtiger Aspekte des dänischen Musiklebens von der Mitte des neunzehnten Jahrhunderts bis in unsere Gegenwart. Nur wenige sind einem nicht-dänischen Musikliebhaber bekannt und zeigen eine verblüffende Vielfalt an Stilen und Formen. Neben solchen wie Niels Gade, Carls Nielsen finden sich Komponisten wie J. E. Hartman, Knudage RiIsager, Vagn Holmboe, Finn Höffding, Hermann D. Koppel, Per Nörgard, Hans Abrahamsen, Erik Höjsgaard, Niels Rosing-Schow, Svend Westergaard, Ib Nörholm und viele, viele mehr mit ebenso historischen wie neueingespielten Aufnahmen. Eine wichtige weitere Abteilung ist den Interpreten gewidmet, die einem Kontinentaleuropäer oft meistens unbekannt geblieben sind, namentlich die Sänger der Vergangenheit wie Else Paaske, Helene Gjerris, Otta Brönnum. Natürlich kennt der aufgeklärte Vokalfan Tonny Landy und Kim Borg (wenngleich doch auch manche wichtige Namen fehlen – die Kriterien der hier vorgestellten Auswahl sind etwas unübersichtlich – Oper ist nur mit Tonny Landys Beitrag aus Lucia di Lammermoor vertreten.). Daneben viele Instrumentalisten von Rang. Die 12-CD-Box bei Dacapo (8.201202) ist ein Cornocupium an akustischen Fundsachen, ein Who-is-Who in der dänischen Musik (mit Lücken). Sie ist allen anzuraten, die sich mit der bei uns wirklich so gut wie unbekannten Musik unseres nördlichen Nachbarlandes beschäftigen wollen. Meine alte und leider 2008 verstorbene Freundin, die Sängerin Inga Nielsen, hat mich immer wieder auf ihre nationale Musik hingewiesen – auf Kunzen und dessen wunderbare Oper Holger Danke (die wir später vorstellen werden und die auch bei Dacapo eingespielt wurde), auf Nielsens Maskerade oder Saul og David und Heises spannende Königsoper Drot og Marsk, auf Friedrich Kuhlau oder Johann Adolf Scheibe. Dänemark ist ein Land mit reicher musikalischer (auch Opern-)Vergangenheit. Diese prachtvolle Box bei Dacapo hilft dem Suchenden auf die Sprünge und eröffnet ein Blick in ein anderes Land. Im Folgenden geben wir den Artikel von Toke Lund Christiansen aus dem Booklet in seiner englischen Übersetzung bei Dacapo wider. Eine starke Empfehlung. G. H.
Toke Lund Christiansen: There is a time to compose, to have work performed and published, a time to rehearse and perform, and finally there is a time to stop and take stock. For the composers and musicians of the Academy it is now an anniversary year, after 150 years of music. The first audible tracks we have of the music surrounding the Royal Danish Academy of Music are recordings of instrumentalists and singers presenting themselves in the black grooves of old 78s. Today too, with a little good will, we can get an impression of how Dan­ish musical life unfolded from the 1890s and throughout the subsequent decades. We just have to accept a little ‚crackle‘ from the early recordings. But there was also music before that. We can only guess how it sounded. From Carl Nielsen we hardly even have his voice. We know he spoke with a melodious Funen accent, but no one thought, in those days when it was possible, to preserve the voice of our na­tional composer. A single track is full of noise, and in the background we can hear Nielsen playing the piano, but the quality is just as technically poor as the unique recording that exists of Brahms playing a Hungarian fantasy. Before Carl Nielsen, too, there was music in Denmark, although we cannot hear Gade’s violin or Hartmann’s organ playing. Part of the Academy’s celebration on the CDs consists of presentations of the music of the Golden Age composers played by among others the teachers of the Academy – past as well as present. 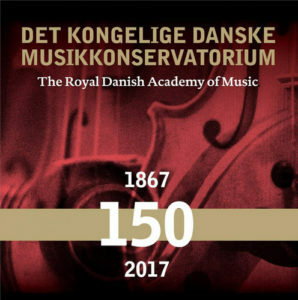 It is inherent in the Danish name of the Academy – Konservatoriet or the Conservatoire – that something is worth conserving. Much music and musical activity builds on tradi­tion, but a ‚conservatoire‘ also has an obvious obligation to take care of the more recent and not least the brand new music and tendencies. For that reason too, in the present box set you will also find a number of CDs which primarily present recent and the brand new music as it has developed in association with the Academy; a bouquet of composers who have been employed at the Academy for a short or long period, each of whom has helped to influence both the placing of the new sounds on the musical scene and the artistic milieu at the Academy. From the past as from the present, when all is said and done, this will only be a fly­ing visit to the innumerable recordings that the instrumental and singing teachers of the Academy\have produced in the course of these many years. In this respect the aim has been to weave a ‚musical tapestry‘ in which the selected works visit the various musical spaces that together make up the pulsating life of the Academy, both as echoes from bygone times and as the sounds heard around the institution today. Not least, the students‘ own great achievement, the anniversary concerts in November 2015 and 2016, with Nielsen’s Fourth and Pelle Gudmundsen-Holmgreen’s percussion concerto Triptykon , tell us that music at the Academy is alive and kicking. 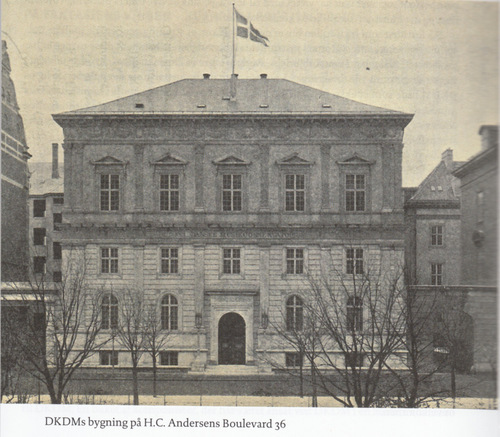 Those who sang, and those who played: If we are to meet the musicians of the past at the Academy, we must build a memory palace or rather let our thoughts and imagination carry us back to the stately building on H.C. Andersens Boulevard. There it lies, not so easy to enter today, now that it is the Chinese Cultural Institute, which has wrapped the building in scaffolding and is rebuilding it for its Chinese purposes. 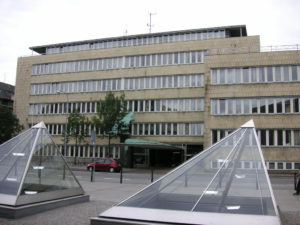 First there was one building, then the neighbouring building was added, but at the beginning it was Niels W. Gade’s vision that became a temple of music here. Five floors were linked by a wrought iron staircase decorated with a wealth of con­volutions and ornaments, a staircase that is said to have come from the old royal palace of Christiansborg, burnt down in 1884. It is not so strange that in Jutland, where they have their own Academy, they call ours Kongekons (‚Kingcons‘). With some difficulty we push the heavy oak main door open – the beginning of a small journey through the times. We ascend the marble steps only to be reminded on both sides that this was also Carl Nielsen’s domain. Here he had his daily workplace and here he end­ed up, although for a short period, as President of the whole caboodle. His daughter, Anne-Marie Telmanyi, has decorated the side walls of the main staircase with colourful frescoes; scenery with absolutely appropriate figures from ancient Greek culture and mythology – Apollo, Sappho, Athene, in light robes, all welcoming us. Up in the narrow hall things are immediately more down-to-earth. N.W. Gade him­self sits a little ceremonially, captured in cool, chalky-white marble -even though he was not like that at all, but had unruly locks and ruddy cheeks. But here he is slightly tired, or so a young person might think, seated on his black plinth, a foundation that takes up more space than the Golden Age composer himself. But he is not the man we are to meet. How Gade played his music is something we can only read about. We are interested in the sounds from down through the ages that have been captured by technology. We hasten past him, for now we go up to the place where the music is playing. The first person we meet on the stairs is a stocky figure. His head is large, his brow domed, he has dark wispy hair. Niels Viggo Bentzon has a jutting lower lip. He is forging ahead at full speed and is not very old, somewhere around 23. He has just played his Tocca­ta up in the locality on the third floor, which was once called C2. Koppel was there. They were all there. It caused a furore. The composition, yes, but not least his incredible dexterity and conviction in the piano playing. He had refined his playing with the aid of his chum, the Hungarian-born visiting piano virtuoso Georg Vasarhelyi. We shall be hear­ing him too. Before that it was Christian Christiansen who had been Niels Viggo’s piano teacher. Niels Viggo found him, and „all the other bandits“, completely „knocked out with enthusiasm for Carl Nielsen“. Bentzon acknowledged his legacy from Nielsen, but he was preoccupied not least with Arnold Schönberg and in 1949 studied and recorded the latter’s short but compact Six Piano Pieces CD 9 For Bentzon the Academy, along with the publisher Edition Wilhelm Hansen, the newspaper Politiken and the publisher Gyldendal, were focal points more or less throughout life. He never became professor of composi­tion, and this prompted Arne Skjold Rasmussen to exclaim: „Damned if he needs to do anything but go around and be Niels Viggo Bentzon!“. Skjold Rasmussen had taken his diploma the same year as Bentzon, allegedly with a grade just under the composer’s. On the other hand, over the following years Skjold Rasmussen was to develop into one of the country’s most admired chamber musicians, and a Nielsen interpreter on the grand scale, while Bentzon’s piano playing gradually declined – just as it had done with Brahms. Skjold Rasmussen demonstrates his mastery in Nielsen’s Three Piano Pieces, recorded in 1952, but also in small pieces by Schumann and Mendelssohn. We proceed up to the first floor, and there we step into the ‚piano passage‘. Before the Academy President Poul Birkelund took the initiative to build the unfortunate bridge that connected the two almost identical mansions, there was only the one building for all the ac­tivities, and the ‚piano passage‘ was more of a ‚professorial passage‘ for the use of strings and singers as well as pianists. The individual localities were acoustically protected by white- painted, beautifully profiled double doors, and from inside the first room we hear Skjold Rasmussen’s characteristic, slightly hoarse but loud voice. Phrasing above all, and timbre! We fly like airy spirits a little back and forth in time, and from the same room, through the double doors, comes the sound of similar stern words. Then there is a bang. The minor- subject student lb Hermann has had Beethoven’s 32 (bound!) thrown at him. That was my grandfather, Holger Lund Christiansen, taking the music in hand. Much more sensitively later in the day, and undeniably also a few years before (1942), when he practiced with his close friend the violinist Erling Bloch. It could have been the Kreutzer Sonata, but it wasn’t on that day. What I do hear is the Spring Sonatas languishing first subject. We ease the outermost door open a little, for we would like to listen too. During the war these two had held afternoon concerts at Geelsgard, up in Holte, of all Beethoven’s violin sona­tas. There was a curfew, and you had to be home before the night fell. Yes, and Herman D. Koppel was impressed by Bentzon’s youthful daring. Koppel was some ten years older than Bentzon, and later generations dwelled mostly on Koppel’s many, often large-scale, compositions. In his younger years, however, Koppel was a piano- pounder of the first order. Later he once said to me that „it’s hard to keep your piano play­ing up to that high standard when you sit for so many hours with a pencil in your hand.“ In 1953 we hear Koppel at the Concertgebouw in Amsterdam – he got around as a concert pianist. Often, as here with the Third Piano Concerto, in his own compositions, but just as often with more or less the whole central piano repertoire in his baggage. It is as if a light mist descends, and here in the ‚piano passage‘ a small but erect figure looms out of the fog: Johanne Stockmarr. A curious gaze, and with the years also small spectacles perched on her pointed nose. Her hair is elaborately put up, and she frequents the biggest European stages with ease. The ‚Royal Court Pianist‘ is dressed in white airi­ness, so it is probably summer. Johanne Stockmarr, along with Agnes Adler, was first lady of the piano in the time between the world wars. She had taken lessons with both Gade and Hartmann. At the other end of her long life she taught among others Skjold Rasmus­sen and Esther Vagning. Yes, the tradition leaves its footprints. As an echo from 1930 we hear Miss Stockmarr’s sensitive attack. It seems to be something by Chopin. Well, hello maestro! I am undeniably somewhat flustered, for here comes Holger Gil­bert-Jespersen with his French Louis Lot flute case under his arm. My grandfather is fin­ished for the day and is soon on his way back to Klampenborg with a lit cigar in his mouth, dressed in plus-fours, all topped by a brown beret. He nods curtly without recognizing his grandchild, but then I haven’t been born yet. A cellist appears, Torben Anton Svendsen. He was not a teacher at the Academy, but was busy heading out for his new artistic field as drama director at the Royal Theatre. And then I really prick up my ears, for Gilbert- Jespersen was the maestro who made the solo flautist of the Vienna Philharmonic exclaim: „By God, I don’t know how you do it, Jespersen!“ Riisager’s extremely difficult Serenade is on the programme. This too, as well as the Spring Sonata, is to be recorded on HMV, His Masters Voice (the one with the doggy! ), and it is to become a reference record­ing that the performers still have to relate to today. And what a piece! You can almost reel them off: „Ravel, Riisager, Roussel“. It’s in that class. I can only heave a deep sigh, but am drawn as if by magnetism over to the door just opposite. Blondal-Bengtsson is rehearsing with Vasarhelyi, and the former remains here in the local­ity (a few years earlier, now that we are flitting like angels or demons through time), and Vasarhelyi is replaced at the piano by a serious-looking fellow who has stuck his hands deep in his jacket pockets without bending his arms. The professor has close-set, dark eyes, a piercing gaze and greets me with a clear but nasal voice. I bow like the 16-year-old student I also am, well aware that the pianist Victor Schioler is also a trained medical doc­tor and is halfway through studying for a law degree, in order for him to manage the job as chairman of the Soloists‘ Society of 1921. A shiver goes up my spine. I can neither play the piano nor make diagnoses, and yet I am his successor in that venerable society. One man is missing. Here he comes – Hoist. Cheerful, bare-headed, blinking a little, his violin case swinging back and forth as he walks. They are to play Schubert’s B-flat Trio and boy can they play, these three! The door stands ajar. Victor (what a name for a piano-tamer! 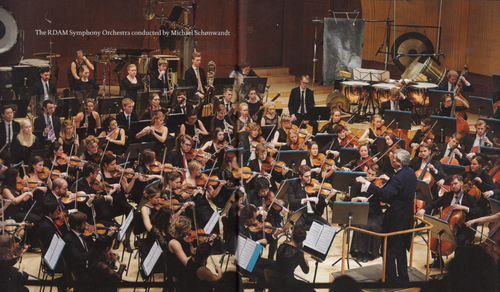 ), the young Blondal and then the leader of the Berlin Philharmonic for eight years, Henry Hoist. I remain standing and listen to all of it. And it continues, and I can’t get enough of it. Now (1955?) Blondal and Schioler are also practicing Brahms‘ in­tricate F major Cello Sonata, and you understand why they were both high­fliers on the international music scene. Hoist had spent the whole war and a subsequent decade in England, and had played the great violin concertos, including Walton’s, which he gave its first European performance. When he went to Berlin as a very young man from his birthplace Saeby in Denmark, and played his way to the lead violinist post, he even did the ‚Gypsy‘ scene in Berlin. That has been captured in a matchless recording of Sarasate’s violin magic, Zigeunerweisen with Heifetz – no, Hoist! 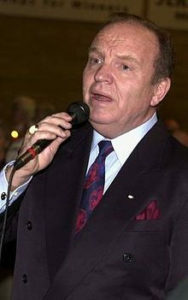 Serguei Azizian nods. Yes, he was incomparable, the young Hoist. Serguei is not from Saeby, but from St. Petersburg. There they have proud traditions of violin playing. With the Copenhagen Philharmonic, his Danish orchestra, before he was hauled in by the Academy, he recorded Britten’s de­manding Violin Concerto. So are we done with the violinists? No, not quite, for there was this folk-musician fam­ily from the Brorup area in South Jutland, whose third generation fostered a lead violinist and quartet player touched by God. He is most often seen with a violin under his chin. Above his Guadagnini violin, a face in living colour, crowned by chalky-white hair. Tongue in the corner of his mouth, and his sea-blue eyes wandering around and observing in a split second what has to be the focus right now in the music. Peder Elbaek was above all a Nielsen player, and here we hear him in a recording (1979) of the demanding solo pieces Prelude and Presto. A little melody in perfect balance: That must be the Norwegian Robert Rifling. He could do it all, played everywhere, but we are listening to something as modest as Harald Saeveruds national hits back in 1950, Rondo amoroso and Koempeviseslatten (Ballad of revolt) ) 9 -0. Even a little is not to be sneezed at, and what is highest, the Round Tower or a thunderclap? The long ‚piano passage‘ resounds with high as well as low notes, chords and tirades, and I want to get it all in. We hear both song and piano playing, and I am enchanted by Debussy’s Suite bergamasque. But wait, it’s time for my piano lesson! If only Blyme doesn’t get miffed. My Haydn sonata is not great art. Anker Blyme rises absent- mindedly from the Steinway grand, pushing his glasses up his forehead. He is tall and im­pressive. Should probably be president of some major country but it is also quite natural (hat he becomes the President of the Academy for a period. My lesson is shortened a little (and it’s short to begin with), for Niels Viggo Bentzon comes bursting in, and soon it’s all over with the delicate sounds of Debussy, for the two of them, NVB and Blyme, plunge into a hell-for-leather duet. Afterwards they talk about Bentzon’s Third Piano Sonata. Well, Blyme might well think it’s both difficult and worth rehearsing. It has been called „one of the twentieth century’s great piano sonatas“ (John Damgaard), and in the USA a whole PhD thesis has been written about its Hindemith-like structure. I must take a break from the intense atmosphere of the ‚piano passage‘ and its many sounds. One floor up and straight ahead: the Banqueting Hall. There you can fall back on the high-backed chairs with the fine lyre carved in the back and enjoy the silence, bro­ken only by the clang of the trams and the screech of traffic from down on the boulevard. But no. Sound wells down from the organ up on the balcony. I know it, I think: Nielsen’s twilight work Commotion, acid test for all Danish organists. It is Bine Bryndorf who is mistress of the many pipes. The Academy’s small organ isn’t the one we can hear captured on CD, instead she chose the organ in the Nikolai Church (now Art Hall) in Copenhagen. 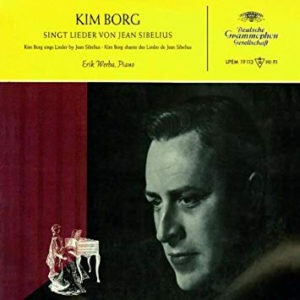 Bine has studied Nielsen’s original stoppings and she here plays the organ, still unchanged today, that Nielsen could listen to in the early summer of 1931. Well hello, Grethe! Commotio is also Grethe Krogh’s signature work. Fortunately re­corded and admired by both professionals and laymen. Grethe has just come from Paris. She has long since retired from the old Academy, but just watch whether she can control herself. A biography is in the pipeline, and down in Paris on Bastille Day (2004) she is premiering Fuzzy’s (Jens Wilhelm Pedersen’s) Cadences et tremblements a Notre-Dame. Refreshing and youthful, and with the Paris sound captured in a concert recording. Fresh air! As I stride in towards Gammel Strand and Stroget, it is as if everything changes. The cars fade, a horse and carriage is followed by several more. Here it does not smell of gas and petrol, but of horse droppings and soot from Norrebro’s industrial chimneys. A funeral procession has gathered on its way towards the Cathedral. Inside sound the notes of the or­gan – the organ on which Weyse, Gade and later J.P.E. Hartmann played throughout almost 100 years. It is March 1900, and now he is dead, old Hartmann, even though people thought it would never happen. In the same month, and during a memorial service for Hartmann in London, Otta Bronnum’s clear soprano rings out in the church interior. Two years before this she has recorded among other thing Hartmann’s Flyvfugl, flyv (Fly bird, fly), under the more commercially euphonious stage name Otta Brony. Otta Bronnum was one of the Academy’s first singing teachers, but in her younger years she had an international career. As of December 1898, and for a year, she recorded no fewer than 16 tracks in London. These recordings are among the oldest preserved on lacquer discs anywhere. Further back in time I cannot travel, and, slightly dizzy, I find a bench at the Glyptotek’s gardens. Can one have better company than two marvellous singers, the tenor Tonny Landy and the bass-baritone Kim Borg? We talk about anything but vocal technique, but I do ask Tonny about the recording of the aria from Nielsen’s opera Saul and David. Yes, it was supposed to be with John Frandsen conducting, but that particular evening it was Ole Schmidt who stepped in. And then of course there is the Bel Canto tradition, which in this country probably goes all the way back to the singing-master Siboni. And Tonny hums a little something from Lucia di Lammermoor. Kim Borg, in tweed . heck, broad-shouldered and puffing on his pipe: „Oh yes, Haydn’s Creation“ , and the aria (“Nun scheint in vollem Glanze”) you mention were performed and recorded in Berlin in 1958, and that was with the ballet master Nijinsky’s son-in-law, Igor Markevitch, as conductor.“ And then we talk on about Nijinsky and Stravinsky, for both Tonny and Kim Borg have many interests, also outside the singing profession. Who were the lucky audience in Roskilde that magical afternoon when the contral­to Else Paaske, along with the pianist (and later Academy President) Friedrich Giirtler, dreamed their way through Mahler’s Des Knaben Wunderhorn. One wishes one had been there, but fortunately the microphone was open, so special moments were captured like a drop of liquid resin that is later transformed into shining amber. But we must go back to the old Academy on the boulevard, and we trudge up to the third floor, where the woodwinds are located. First he was an oboist and achieved a short but glorious career in the USA. Then back home in Copenhagen, Svend Christian Felumb became a member of the famous Wind Quintet, which also boasted talents like the flautist Holger Gilbert-Jespersen and the clarinettist Age Oxenvad. This variety of Danish oboe playing had its origins in Paris. The timbre is bright and perhaps a little on the nasal side. But that it how it was with timbre. The aesthetic expression is moulded in the training. Felumb was on a friendly footing with Carl Nielsen, so it is only natural that we should hear the Fantasy Pieces, opus 2, and it is even with another friend of Nielsen, Chris­tian Christiansen, at the piano. Later in life, as conductor of the Tivoli orchestra, Felumb became a tireless champion of the young composers in particular, while Christian Chris­tiansen was for many years President of the Academy. It can be difficult to ignore the brass players. In the old Academy they were often ban­ished to the remoter localities, but that does not change the fact that here too music of the highest standard was played. Listen for example to Palmer Traulsen in Asger Lund Christiansen s opus 1, Concertino for trombone and large orchestra; a first per­formance in Tivoli on 4 May 1959 with the composer at the head of the Tivoli orchestra. I was there, and many people were especially enthusiastic about the cadenza, which it was thought Traulsen himself improvised. It was not the case, however. It was all carefully no- tated in the score by my 31-year-old father. It may well seem that my time travels are on the nostalgic side, but listen: all that is happening today, you can yourselves go out in the city and hear. It’s happening here and now, and one day that too will become historic and will be studied with both magnifying glasses and ear trumpets! And by the way, it is wonderful that the old woodwinds from the Radio got together in 1947 and played Mozart’s little Divertimento in B flat major for the select six: two oboes, two bassoons and two horns, so we also have the opportunity to make the acquaintance of the icons Professor Ingbert Michelsen (French horn) and Carl Bloch (bassoon). The sound is bright and to our modern taste a little dry, but that’s how it was. More up-to-date is Poul Birkelund’s spirited performance ofVagn Holmboe’s Solo Sona­ta for Flute CD. This is an unedited recording from Icelandic radio, and Poul himself was exceedingly happy about what he had achieved that afternoon in 1970 up on the volcan­ic island. And recordings from our own time? Well, you have to listen for those, either here among the recordings or out on the musical scene of today. Oh, yes, we should just mention that the inimitable Bjorn Carl Nielsen’s sensual oboe is represented on this journey through time. A slow movement for oboe and chamber orchestra by the Czech Krommer. It is a special pleasure that the Academy’s own symphony orchestra – without a sin­gle assistant from the ranks of the established professionals – fills a whole CD. First with Gudmundsen-Holmgreen’s Triptykon in the hands of the person it was writ­ten for, the percussion professor Gert Mortensen, and then an inextinguishable Nielsen’s Fourth, with no editing or other hocus pocus, and all under the baton of Michael Schonwandt.